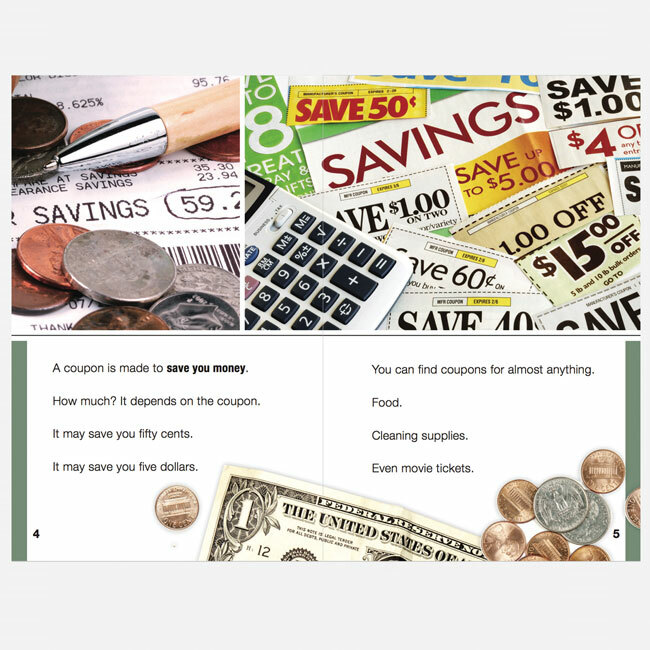 The Life Skills collections represented on this page are excellent resources for older students, ELLs, and adults reading below-level. All of the products are meant to engage and assist in building the skills needed to live life independently. 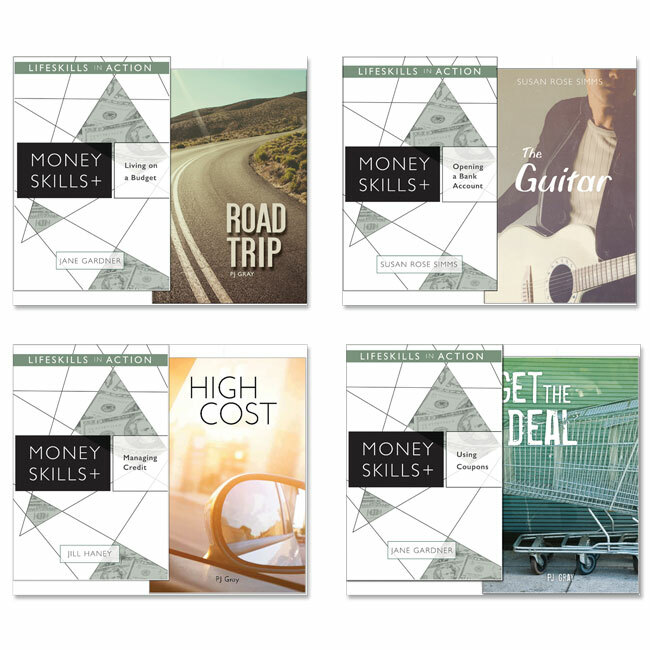 Each 5-book set in the series covers a key aspect of money skills. 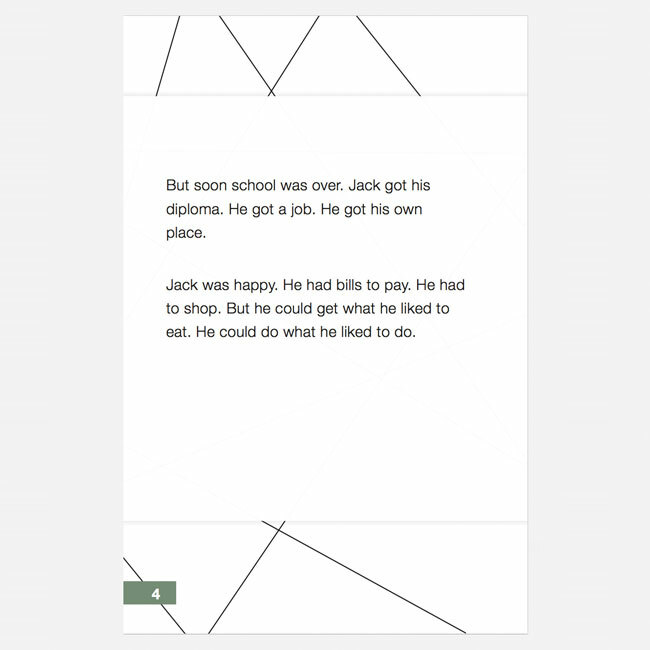 Developed for students reading at the most basic level, each book is actually two books in one, with a nonfiction side and a fiction side. 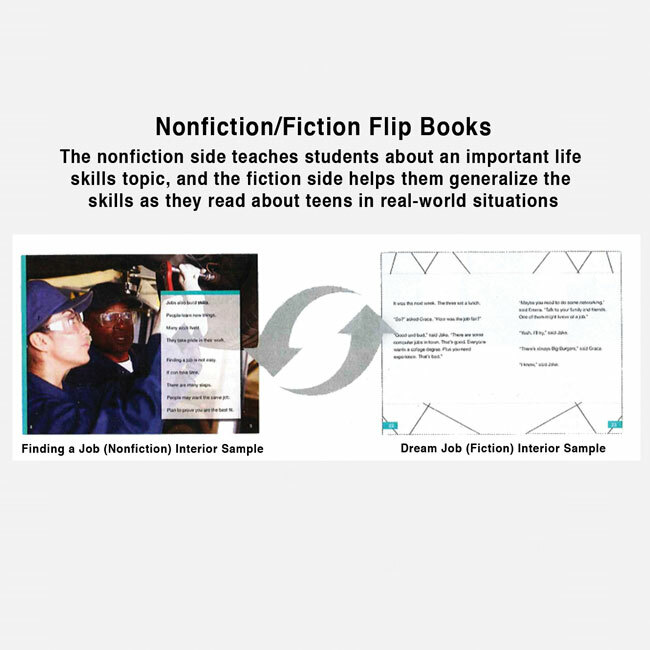 The nonfiction side teaches students about an important life skills topic, and the fiction side helps them generalize the skills as they read about teens in real-world situations. 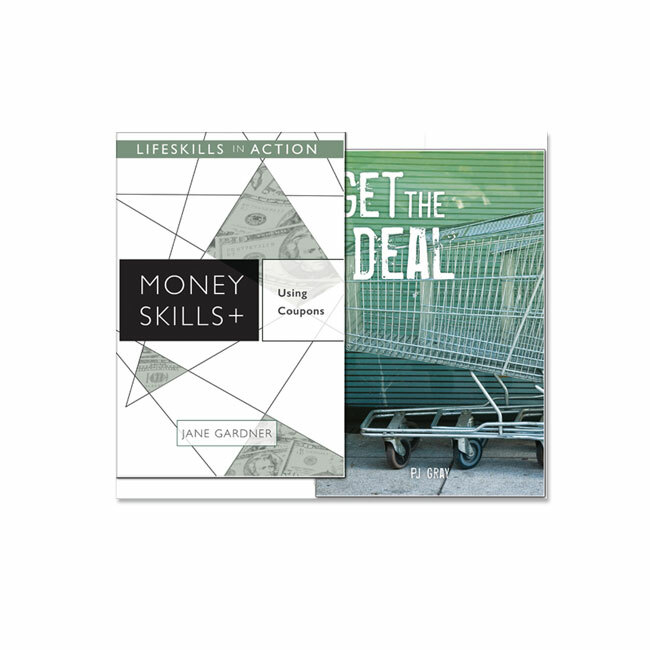 Each 5-book set in this series covers a key aspect of managing money. 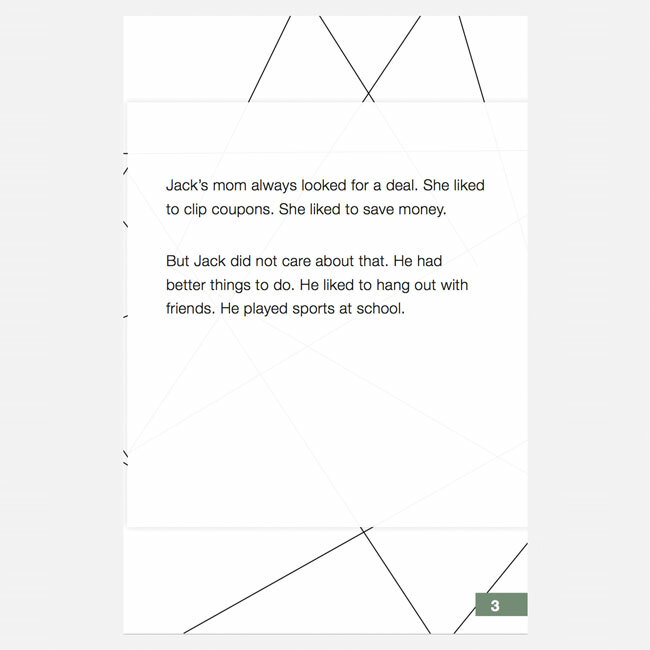 Developed for students reading at the most basic level, the books range in readability from 1.0-1.7 and have Lexile scores of 150 to 240. 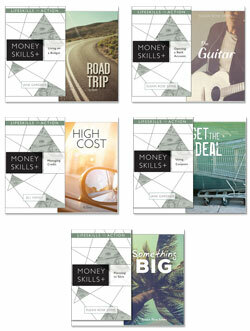 Money Skills: Each set includes 5 flip books (1 each of 5 titles).